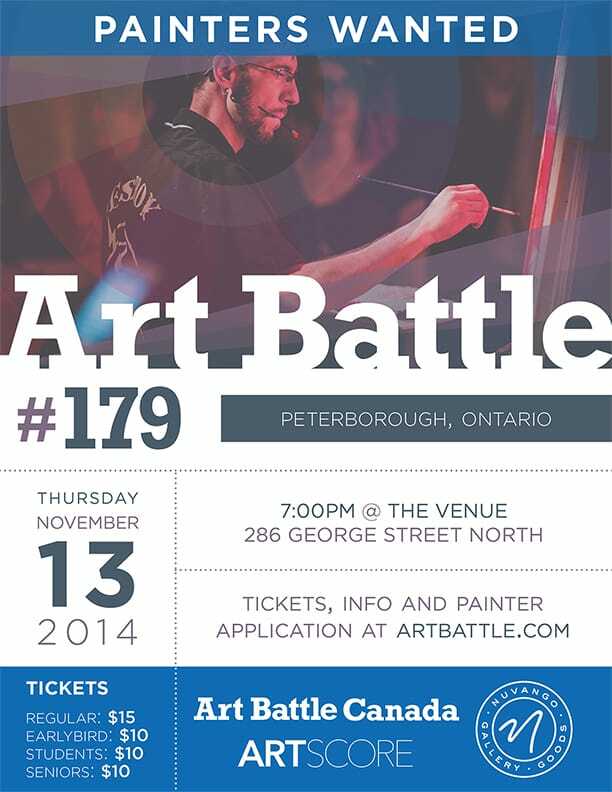 Art Battle returns to PTBO! Join us on Thursday November 13th for the first event of the season. 12 painters will compete for the title of Art Battle Champion and a spot in the Regional Finals in June 2015. Last year saw some amazing live performances by PTBO artists. Paul Nabuurs represented the province at The National Championship which was held in Maple Leaf Gardens in July 2014.